In just one week, we will learn exactly what the masses will make of the highly-anticipated Superman movie, “Man of Steel.” And if the final, ultimate trailer just released by Nokia and Warner Bros. is any sign to go by, then this movie will be, without any doubt, epic. I’m talking “Avatar” epic, maybe even greater. This final trailer has it all. 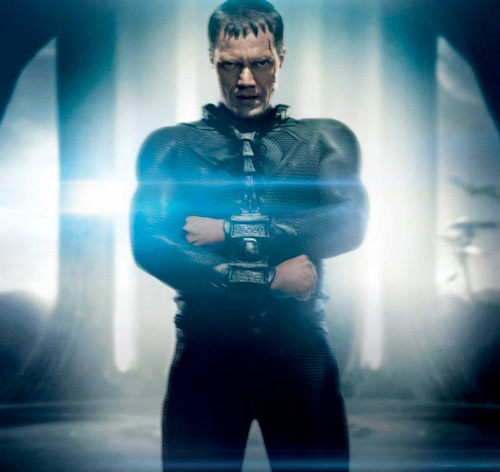 It shows Superman, Lois, Jor-El, battles on Krypton, battles going here on Earth, Jor-El dispatching his son to Earth … and Zod (Michael Shannon), lots and lots of Zod. I remember there was I time we all wondered what he would look like in action, now that we have seen him plenty in these series of trailers, it seems he will be a formidable villain, and a handful for Superman and the world. Is it just me or does Metropolis appear to be in flames? Personally I have been sold since the first teaser trailer, but with each new trailer and TV spot, more and more of this dream universe Zach Snyder has brought to life has been revealed to us and made it evident to me this is no ordinary movie. I’m seeing a story that spans the galaxies, science, love and war. This is huge, my friends. Prepare yourselves, we are going for a ride. I don’t know how it will all be fit into such little time, but I am prepared to be transported. Directed by Zack Snyder, “Man of Steel was written by David S. Goyer. It stars Henry Cavill, Amy Adams, Michael Shannon, Kevin Costner, Diane Lane, Laurence Fishburne, Antje Traue, Ayelet Zurer, Christopher Meloni and Russell Crowe. What do you think about this final epic trailer? “Man of Steel” arrives in 3D, 2D and IMAX 3D theaters on June 14. Tags: "Man of Steel", "Superman", DC Comics, Michael Shannon, Warner Bros.